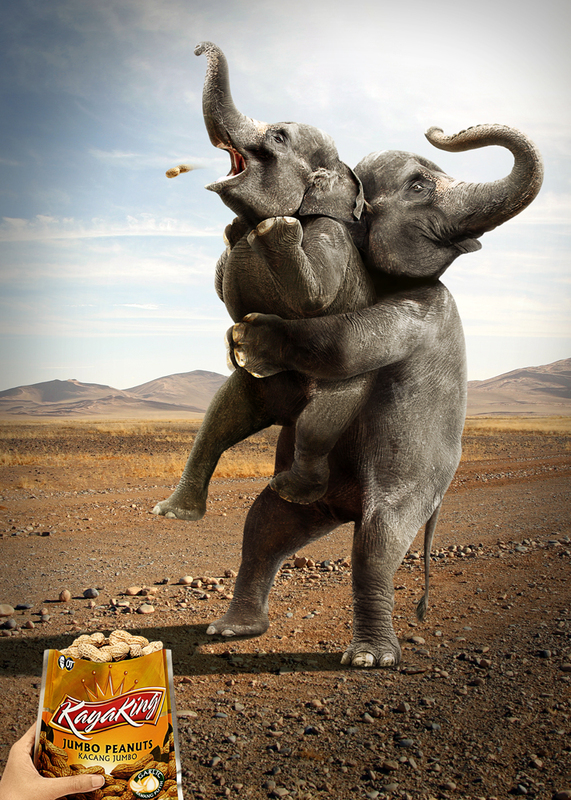 Orang Tua Group is promoting KayaKing Jumbo peanuts in Indonesia with this print advertisement featuring two elephants practicing the Heimlich maneuvre. Not a pretty sight but it gets the message across. “Kacang” is Indonesian for peanuts. The KayaKing Peanuts Elephants ad was developed at Ogilvy & Mather Indonesia by creative group head Leonardus Bramantya, creative director/copywriter Glenn Alexander, art directors Alfa Aphrodita and Yogi Wiwek, designer Aldo Khalid, and photographer/retoucher Heru Suryoko.